Most people don’t want any spiders hanging around their home, but BIG spiders are even worse. Wolf Spiders are some of the most common spiders found in Arkansas, and they are some of the largest as well. Even though they’re pretty low on the scale as far as aggressiveness and venom intensity, their large size strikes fear in the heart of many. The Wolf Spider has some unique traits that are not common in most spider species. What they are commonly known for is the fact that they hunt their prey on the ground instead of spinning a web to wait and catch prey there. Wolf Spiders actually aren’t that bad to have around because they hunt and feed off of many other unwanted pests that you don’t want hanging around in your yard. They are non-aggressive and do not bite unless provoked, and when they do bite, their venom is not lethal and will commonly cause temporary swelling, mild pain, and itching. Nonetheless, large spiders are not something you usually want around your home, so Hopper Termite & Pest is here to help you get rid of them! First, you must recognize a wolf spider to identify what you’re trying to get rid of. They are a brown or grey in color with various markings that generally appear to be two dark brown or black stripes along their back. Their eyes vary in size, with the largest two in the front and the rest of the eyes being smaller and surrounding the first two. Another thing to look for is hair! They are usually hairy and many times mistaken for a tarantula because of this, but that is not the case. There are things you can do to discourage most pests from entering your home. Keeping your home clean and uncluttered deters other bugs from entering your home, which also prevents wolf spiders from entering. Other bugs like grasshoppers, smaller spiders, ants, and even small lizards or frogs, are prey for the wolf spider, so having any of those pests in your home give the wolf spider a reason to come in hunting for food. Sealing any cracks or crevices that look like possible entry points for pests is great for prevention. You can do this with caulking, or stuffing the holes with a mesh product. Also, making sure to keep things like bushes, trees, and firewood a foot or two away from the exterior walls of your home is a good idea too. Spiders like to live in piles of leaves or mulch, empty planters, under stones, or in grills. Anywhere that gives them a place to hide from the sun during the day will look like a good spot to them. Rid your yard of any clutter or debris as much as you can. 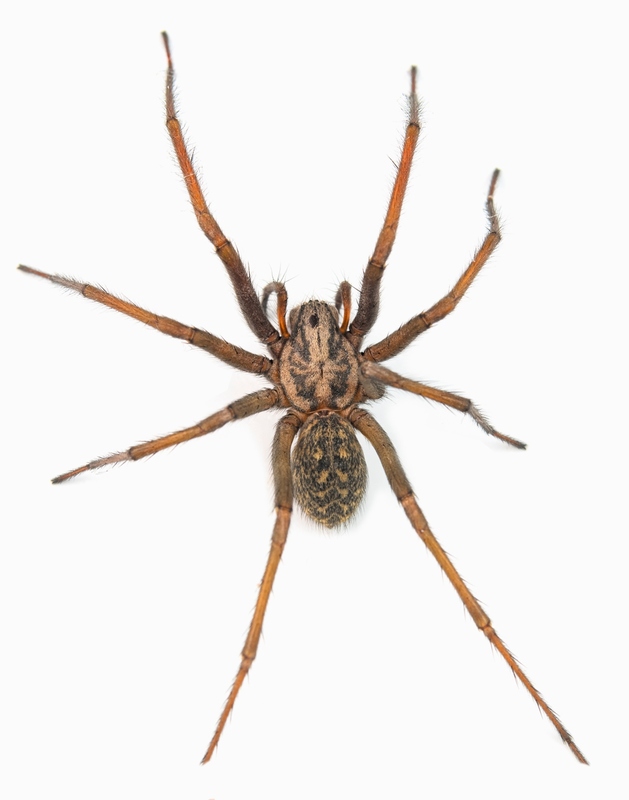 The best way to get rid of wolf spiders, or any pests for that matter, is to give us a call. Here at Hopper Termite and Pest, we have the expertise to treat your home and lawn to discourage wolf spiders from inhibiting there. We will come out and spray your lawn and mulch beds with insecticide, which will kill the spiders and other pests attracting the wolf spiders to your home. You can also place glue boards around your house in closets and storage areas where you think the spiders may be frequenting. Any insect that walks across will get caught up and potentially attract the wolf spiders and get them stuck too-- It’s a win-win! Overall, you can be comforted by the fact that despite the Wolf Spider’s intimidating appearance, they are fairly harmless. If you’re tired of being startled by them around your home, give us a call here at Hopper Termite & Pest, and we will help you eliminate them! Spiders. It seems like these fear-inducing insects are everywhere around this time of the year. You can find them in your lawn, your home, and even in your car on the drive to work. While they may cause you to scream, shout, and run for your life, the truth is that most spiders are harmless. Here are a few things you should know about what attracts spiders in Arkansas and how Hopper Termite & Pest can help. Like humans and other pests lurking in and around your home, spiders need the three basic life necessities of food, water, and shelter in order to thrive. And for most spiders, your home creates the perfect environment. Food - Most spiders come lurking into your home in order to get their next meal such as other insects. Water/Moisture - Like most living creatures, spiders need a source of water. It doesn’t have to be a large source. Dirty dishes in the sink, water in the pet’s bowl, and a wet towel on the floor are just a few examples of water sources. Shelter - Spiders also need a place to nest and get ready for the next generation. Most spiders search out places that are warm and dark. There are several different species of spiders in Arkansas. The Arkansas chocolate tarantula, trapdoor spiders, garden spiders, and bold jumping spiders are just a few found in our state. However, most people are more concerned with the spiders that can cause harm. Arkansas is home to two spiders that can cause severe reactions and harm to humans: the brown recluse and black widow spiders. Brown Recluse: These spiders hang out in dark, warm, and dry environments. These small fiddleback spiders usually don’t seek out humans. However, they can become aggressive if you invade their territory by putting your foot in a shoe or hand in a glove that they have been inhabiting. Their bites cause different reactions to humans and should be closely monitored. Black Widow Spiders: These spiders are a little bit larger than the brown recluse and are black. Their identifying mark consists mainly of the red marks on their abdomen. The female black widow is the one you should be worried about since it is the one that bites. Like most insects and spiders, you can find the black widow in a web in the corner of a basement or garage, under rocks or ruble, or in a pile of leaves. Like the brown recluse, the bite can cause different reactions to humans and should be closely monitored. One of the easiest ways to keep spiders and other bugs out of your home is to keep it cleaned up inside. Create a cleaning routine to make sure dishes are out of the sink, keep food in sealed containers, and hang up any clothes that are just lying around. Keeping the outside of your home is just as important. Keep shrubbery cut and away from the home, stack firewood and rocks away from the home, and cut your lawn on a regular basis. Call Hopper Termite & Pest! Dealing with spiders is more than just trying to get rid of a bug in your home for some people. However, it is almost impossible to get rid of every single spider. If you think that you have more than the normal amount of spiders running around your home, give Hopper Termite & Pest a call. From a few spiders here and there to a spider infestation, we have seen a thing or two. Our experienced and trained technicians also know what steps to take next in order to help you feel better about living in your home. Give us a call today at 1-888-863-0206 or fill out the form on our website to schedule your FREE PEST EVALUATION. Our technicians can evaluate your home or business and create a custom plan of action to help get rid of spiders inside your home. Spiders are everywhere. And when they reside in your home, many species of spiders act as natural pest control as they feed on small insects such as mosquitoes, flies, and roaches. However, many people can’t fathom the thought of having a spider in their home? Why? When most people think of spiders, they think of spider bites. They also think of the gruesome pictures and stories shared by others who have been bitten. One of those feared spiders is the brown recluse spider. The brown recluse is a native spider found in Arkansas. It is about the size of a quarter and is usually identified by the fiddle/violin shape on its back. Because of the fiddle shape, it is also referred to as the fiddle-back spider. The bite of a brown recluse spider can cause serious damage to the human body as cells become damaged and die off. It is important to note that every person is different and many experience different reactions to the brown recluse bite. However, in extreme cases, the bite can lead to open wounds, kidney failure, and eventually death if the person does not seek medical attention. For this reason, many people are focused on keeping spiders like the brown recluse out of their home. Here are 4 tips to help you keep brown recluse spiders from making themselves at home in your home. In order to get rid of spiders, you have to first know where they are hiding out in your home. As their name suggests, brown recluse spiders like to hide in dark secluded places. Look for webbing in and around boxes, piles of clothing, or cluttered knick-knacks. Brown recluse spiders may also be located in places that you can’t necessarily see such as under insulation or inside of walls. In order to get brown recluse spiders out of your house, it is very important that you seal up any cracks and crevices where these spiders may be entering your home. This means going around every inch of your home to look for possible entry points. Don’t make it easy for brown recluse spiders to make themselves at home. When it comes to storage of boxes and other items in the basement or garage, make sure that items are not on the floor or sitting up against the wall. For your entire home, go through and make sure that each room is clutter free. Not only does this help keep the spiders away, but it also keeps other bugs and rodents from hiding out. If you don’t take care of the outside of your home, then all of the work you do on the inside to get rid of spiders, insects, and rodents is just a waste of time. Like many other pests, brown recluse spiders often gain entry to your home through cracks and crevice on the outside. Large bushes, shrubs, and plants too close to your home can also make it even easier to gain access. Take time to cut back the greenery near your home and foundation. Also, look for piles of lumber, firewood, stones, etc. These items should be kept as far from the home as possible. If they must be kept indoors or close to your home, then place them off the ground and wrap them in plastic. Don’t wait until you have a brown recluse spider infestation in your home. Once these spiders make themselves comfortable and start reproducing, it can be difficult to get them out. If you have tried the tips above and have still encountered one too many spiders and need them gone, give Hopper Termite & Pest a call today at 1-888-863-0206. Our QualityPro-certified pest control technicians have the tools and experience to provide you with effective solutions to help you get rid of spiders and other bugs in your home. The sooner you call, the sooner you can be pest free. Don't Let Spiders Make Your Home Their Home! What can make your family drop everything and run? What can strike fear upon any who catches a glimpse of terror on eight legs? Men, is there a certain tone of voice your wife or children use to scream your name and you know duty calls? Probably one of the most unsettling creatures your loved ones will face inside your home are spiders. I am willing to bet you have found yourself wondering at multiple times, how to get rid of spiders. The Ozarks is home to an abundance of things. Our area has wonderful some wondrous natural beauty such as lakes, rivers, parks, trees, and a variety of natural resources. Unfortunately, it is also home to a plethora of eight-legged friends, and I do use the term friend loosely! In fact, spiders in Arkansas are so common that most of us know what the typical spiders in the home are called by name. One of the most common spiders in Arkansas is the wolf spider. Intrusive and frightening to see, they can become very large in size and are quick on their feet. Though they are not poisonous, they can be very intimidating simply because of their size and speed. 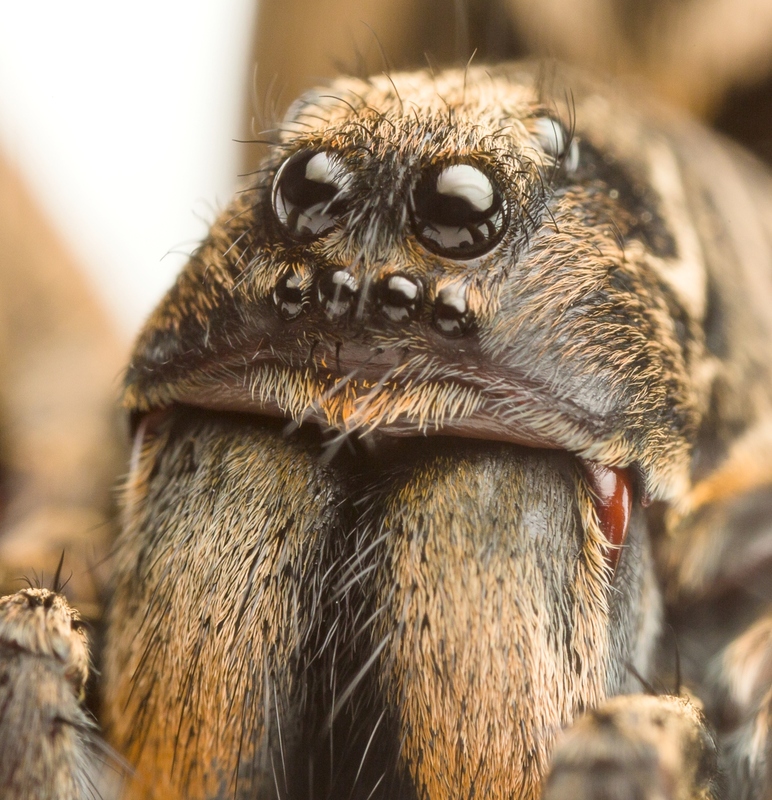 If you have wolf spider problems, rest assured they are not dangerous and Hopper Termite & Pest, Inc. knows exactly how to rid your home of these pests. The Brown Recluse is probably one of the areas best-known spiders and possibly the most panic-inducing. Recognized by its brown color and unique fiddle-shaped markings on it's back, that's where this little pest's nickname the fiddle spider comes from. No one wants to see one of these guys in their home! Unfortunately, they are pretty common in our area. The bite of a brown recluse is poisonous, but these spiders are not typically aggressive, hence the recluse part of their name. If you spot this 6 eyed creature in your home you definitely want to take action. Another poisonous spider found in Arkansas is the Black Widow. With a name like that, you know it is bound to be something you don't want around! The female spider is shiny black with a red hourglass figure on her abdomen. The male of the species has spots on their backs and red and yellow bands. While these spiders are fairly timid and usually only bite when threatened, their bite can result in pretty serious consequences. The bite is particularly bad for young children or the elderly, so seek immediate medical attention if you or a loved one is bitten. Spiders thrive in the yard and especially in the leaves that have not been raked or mulched. They are also attracted by all those delicious insects that you invite into your home by leaving the porch light on in the evenings. The right type of light bulb could cut down on this all-you-can-eat spider buffet. Tips like these are a big factor in spider control. Knowledge and experience are very important when it comes to getting rid of spiders, especially the poisonous variety. You want to make sure you have exactly what you need to take care of the issue. That is why the services of a professional will keep the shrieks of fear in your home to a minimum. The best way to get rid of spiders in Mountain Home, AR is by getting on an affordable pest control maintenance plan with a dependable local company like Hopper Termite & Pest, Inc. Our team of dedicated trained professionals will make sure those arachnids do not find your home a welcoming environment. So remember, next time you discover these uninvited houseguests trying to make your home their home, call Hopper Termite & Pest, Inc. for all your pest control needs!